I hid my stick, can you find it? 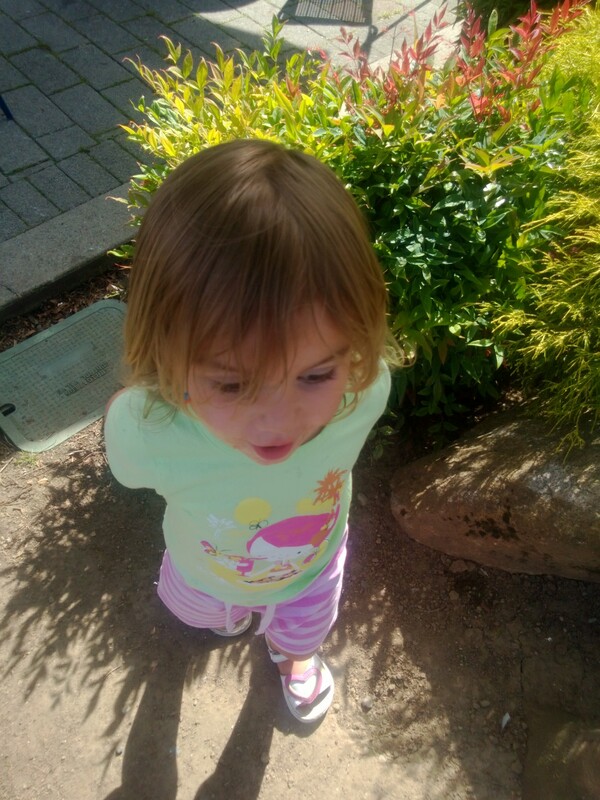 I laughed to myself as I watched my 2-year-old playing in the borders, hiding a stick in the bushes and drawing in the dirt. A few feet away was a very expensive sensory playground with musical instruments, water features and a little bear cave. It was very impressive, but the lure of a stick was just too great. Given the choice I’m sure regardless of the expensive equipment we provide, most children are happy with a stick, a pile of stones, or a tub of water. 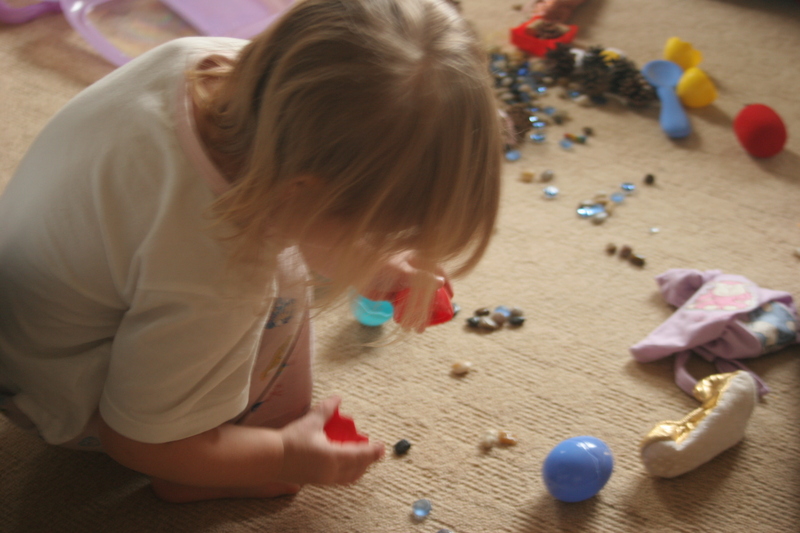 My eldest was obsessed with tiny stones when she was small. Everywhere we went she would stop to pick them up or take them home in her pockets. If we were in the garden she would make collections of little stones and spend hours moving them from one place to another. She was very young at the time but I never stopped her for fear that she may swallow them. I simply made sure I was sat nearby so that I could see what she was doing. Do not point sticks at people’s eyes. Sometimes they are magic wands, Sometimes fishing rods or sometimes simply something to carry around. Every stick is greeted with equal excitement. All 3 children play for hours in the sand pit. When I first moved to the US I didn’t think the girls would like the grey, gravelly play sand they have here. I was wrong, they love it as much, if not more than the fine golden sand we had in the UK. 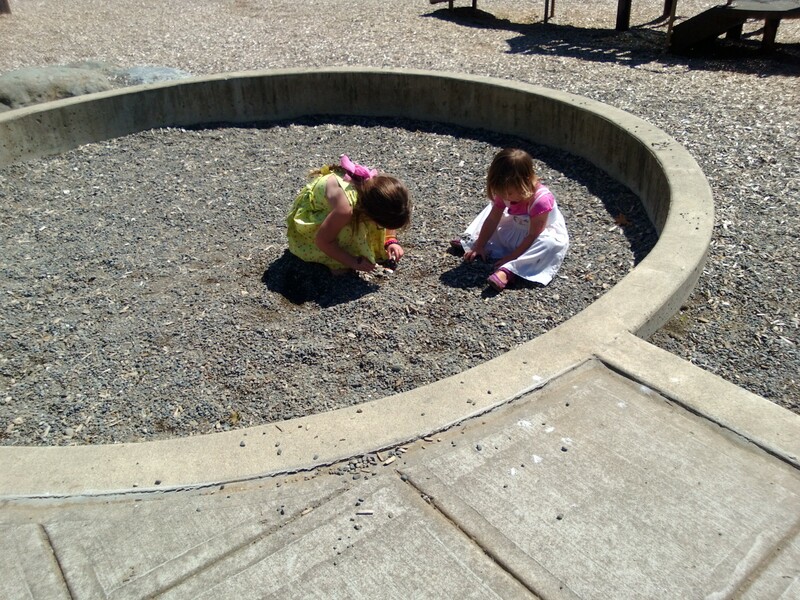 Even at the park they chose to play in the dirty gravel rather than on the equipment. Put simply, the playground with static play equipment will not offer a child the opportunity to discover and create their own scenarios as freely as one that is less predictable or restrictive and offers moveable objects that can interact with the child’s play. A swing is a swing but the gravel can be a home for a bug, fairy dust, a cake, something to draw in, a track for a car and other endless possibilities. 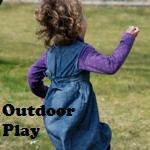 We have the perfect garden for playing with loose parts, with an abundance of trees, pine cones, stones, dirt etc. I decided to organise these a little to see if it would change the way the children played with them. We had an old clothes horse in the garden that was waiting for a purpose. 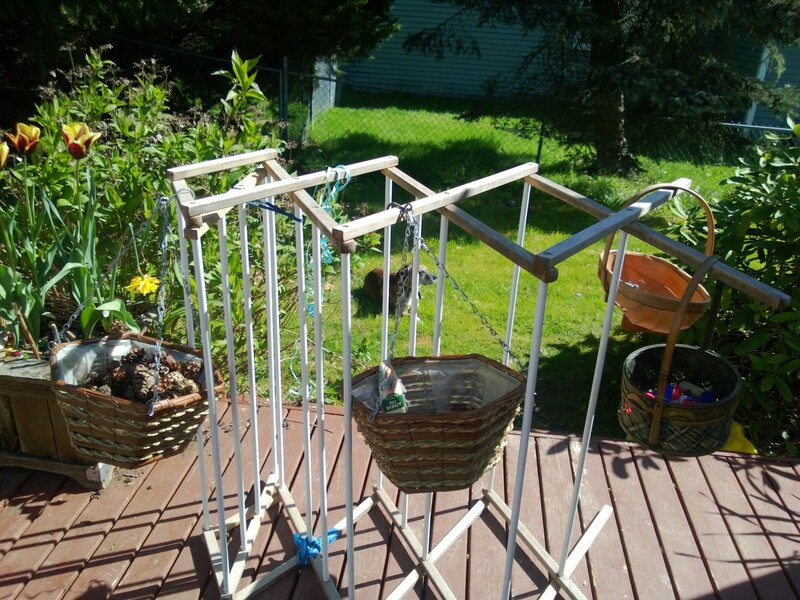 I bought a few hanging baskets and hung them on the clothes horse along with a few other baskets I had found. I also clipped a variety of containers to the clothes horse using an underwear dryer (we also use this for drying paintings). Using the clothes horse means that it is fully portable making it easy to move out of the rain or to the sandpit, paddling pool or lawn . The Slide show illustrates some of the things we collected . large things like pallets, tyres, flowerpots, fabric, boxes, pots and pans, tubes, guttering, bamboo canes, bricks, planks, logs, driftwood. I love to see the children using their environment to stimulate imaginative and creative play. Here are some of my favourites. Carrying a rock to build a boat on the beach (the family were sailing). Moving heavy objects around was a key part of the play. What happens when I bang the stick with a pebble? The youngest became absorbed in pebbles and sticks, abandoning the project for a while.